It's not Monday, but it's the first day back after a holiday. Here's some great music to start your week. Meet Lucius, a five-person band formed by Jess Wolf (lead vocals and synthesizer), Holly Laessig (lead vocals and keys), Dan Molad (drums and vocals), Peter Lalish (guitar and vocals), and Andrew Burri (guitar, drums, and vocals). 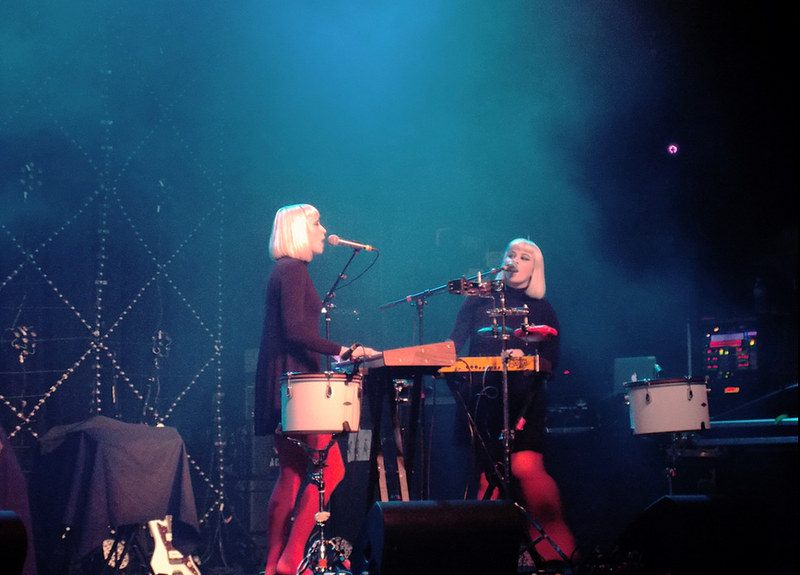 I discovered Lucius when they opened for my favorite band Tegan & Sara on May 15 at the Buckhead Theatre in Atlanta. I was blown away. According to Wikipedia, Paul Krugman is a fan. Just click the playlist below to play Wildewoman, their latest album. Enjoy.